Find lawyers, attorneys and law firms located in Albany, Schenectady, Troy, Latham and other areas of the greater Capital Region. The 'Capital City' of Albany is home to many skilled legal firms and attorneys who specialize in all areas of the law, including personal injury lawyers, real estate attorneys and bankruptcy laywers. You can also find litigation attorneys, patent lawyers, divorce attorneys, environmental law firms and more. Browse the listings below when you need legal help for personal or business matters. Each listing can include reviews, videos, maps, contact info and directions, and many offer a free initial consultation to help you find the lawyer or attorney that's right for you! After working for a small private law firm for 5 years, Mr. Giannetti started his own practice in 1988. He has represented hundreds of injury victims in personal injury, workers compensation and social security matters. The traditional law practice of Litz & Litz represents businesses and individuals with legal needs. The practice offers services in many areas, including business and commercial law, medical malpractice, bankruptcy, products liability, and more. The firm of Thuillez, Ford, Gold, Butler & Monroe, LLP is dedicated to litigation with an emphasis in the areas of medical malpractice defense, insurance defense, health law, environmental and commercial litigation. Pattison, Sampson, Ginsberg & Griffin attorneys provide legal services to Capital Region clients in more than a dozen practice areas, including business law, construction law, education law, estate planning, intellectual property and more. Law Offices of Thomas A. Newman, Jr.
Thomas A. Newman, Jr. has over 30 years of experience in vehicle traffic law, DWI, speeding, suspended license or registration, traffic tickets and infractions, and other components of automobile law. The family owned practice offers flexible hours. Silverman, Silverman & Seligman has expertise and experience in injury law, and can help you navigate the complex process while maximizing your benefits. Practice areas include workers' compensation, social security disability insurance, and more. The full-service general practice law firm of Girvin & Ferlazzo is based in Albany NY. Its team of attorneys concentrates in personal injury, public and private sector labor/employment, education, medical malpractice, real estate, and other areas. Herzog Law Firm has offices in Albany, Saratoga, and Kingston NY. Areas of expertise include Estate Administration & Probate, Estate Planning, Elder Law, Medicaid Planning, Real Estate Law, Guardianship, and more. Since 1965, the firm has provided general civil and criminal practice before all State and Federal courts in areas such as: negligence, personal injury, malpractice, real estate, banking, matrimonial, products liability, and estate planning,. Since 1991, Lavelle & Finn, LLP has been providing the Capital Region with specialized legal services. This group of highly motivated professionals combine smart, insightful thinking with proven judgment for a more effective level of guidance. 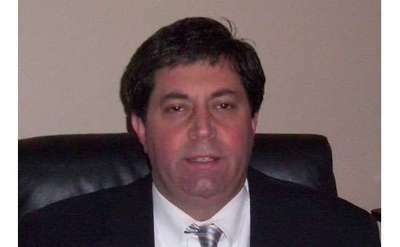 Frank M. Putorti, Jr. P.C. is a full service law firm serving New York's Capital Region with expertise in a broad range of areas. Schmeiser Olsen & Watts LLP, with eight offices throughout the country, is a leader in intellectual property law and specializes in the prosecution and litigation of patents, trademarks, and copyrights. The Law Office of Ken McCauley represents Albany and the Capital Region in traffic law cases, including violations related to speeding, cell phone use, and lack of registration. Other practice areas include internet harassment and criminal defense. Located in Schenectady and serving New York's Capital Region, the Law Office of Kathleen M. Toombs provides legal counsel in three primary areas: estate planning, probate & trust administration, and asset protection. Based in Albany NY, the law firm of Lombardi, Walsh, Davenport, and Amodeo serves the Capital Region in the following practice areas: negligence; business, labor, and employment litigation; estate and business planning; real estate; and more. We provide our clients with representation and services in a broad range of disciplines and practice areas. O'Connell and Aronowitz offers clients the resources of a big city firm, with the comfort and familiarity of a neighborhood lawyer. With offices in Albany and Saratoga Springs NY, Meyers & Meyers offers legal representation to individuals and businesses in areas like Airport Law, Business & Commercial Transactions, Immigration & Naturalization Law, and Commercial Real Estate. Plan for the future with Scheiberling, Rogan & Maney's expert Estate Planning services. Schedule an appointment with the family law firm at their Albany office. Kouray & Kouray, a knowledgeable and experienced law firm based in Schenectady, specializes in criminal defense, vehicle and traffic tickets, personal injury, real estate, and wills & estates. Your initial consultation is free. With three offices throughout the Capital Region, E. Stewart Jones Hacker Murphy specializes in personal injury, commercial disputes, tax issues, and criminal defense. The experienced team is committed to being a champion for its clients. Dowling Law provides quality legal representation and advice to Capital Region for-profit and not-for-profit organizations. Service areas include business law, not-for-profit law, labor and employment law, management representation, and more. Goldberger & Kremer is an employment law firm based in Albany and represents employers in both the public and private sectors. Practice areas include labor law, civil service law, mediation, wage and hour matters, collective bargaining, and more. Frost & Kavanaugh, P.C. is made up of a team of experienced trial lawyers who represent clients in the Capital District and throughout Upstate New York. The firm offers legal services in general practice areas, plus personal injury and other cases. Glenn J. Witecki Esq. specializes in Estate Planning, Real Estate, and Business Law matters, and represents clients throughout the State of New York. The Witecki Law Office also offers a free initial consultation. Towne, Ryan & Partners, P.C. believes that great service is a crucial part of legal representation. Choose one of our six offices throughout Upstate New York and Southern Vermont, and get the personal attention you deserve. Burke & Casserly helps clients plan for the success and financial security of themselves, their families and their businesses. Practice areas include elder law, estate planning, estate and trust administration, retirement planning, and more. Naviasky Law Firm, PLLC. specializes in elder law, estate planning and real estate law, assisting families throughout their life cycle, from first home, to starting a business, to protecting assets, to administering the estate of a loved one. Hinckley Allen has six offices in the northeastern US, including one right here in Albany. The firm specializes in five areas: construction & public contracts, corporate & business law, litigation, real estate law, and trusts & estates. The law firm of Tabner, Ryan & Keniry, LLP is based in Albany NY and specializes in areas like commercial litigation, employment law, education law, and municipal law. The firm has a reputation for excellent service and experienced representation. Have you been seriously injured due to someone else's negligence? Contact the experienced Albany, NY personal injury attorneys at Maynard, O'Connor, Smith & Catalinotto, LLP for a free case review and to discuss the best course of action. Tuczinski, Gilchrist, Cavalier & Tingley, P.C. The experienced attorneys at Tuczinski, Gilchrist, Cavalier & Tingley specialize in practice areas including labor and employment, corporate, health care, and estate planning. The firm has the highest standards of quality and integrity. Powhida Stern offers general civil practice services, along with several concentration areas related to business law and real estate law. These include business & commercial litigation, contract disputes, insurance defense, and construction law. The full-service law firm of Bond Schoeneck & King features a team of more than 25 lawyers in its Albany office. Industries the firm specializes in include business, higher education, health care, manufacturing, and construction. Whiteman Osterman & Hanna's practice areas include education, environmental, estate planning, government relations, immigration, health care, and business. The firm strives to achieve result-focused solutions to even the most complex issues. Since 1920, Carter Conboy has provided powerful and effective litigation and transactional assistance to its clients. Practice areas include business and commercial law and litigation, family law, environmental, product liability, and more. The 11 attorneys who make up the firm of Martin, Shudt, Wallace, DiLorenzo & Johnson specialize in a variety of practice areas, including foundations & charitable giving, litigation, tax and estate law, labor laws, health care, real estate, and more. 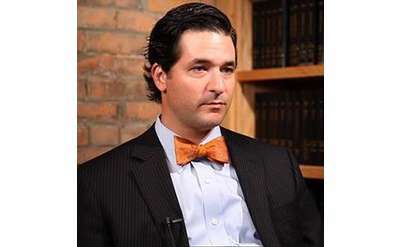 With over 800 attorneys in major cities throughout the country, including right here in Albany NY, Jackson Lewis P.C. has established itself as a leader in the areas of healthcare, sports law, and government relations. Cioffi Slezak Wildgrube, PC serves Capital Region individuals, families, and businesses. The firm's concentration areas include commercial and residential real estate, estate planning and administration, elder law, and business and corporate law. Delain Law Office, located in Clifton Park NY, specializes in intellectual property and business law, including patent, trademark, and copyright law, intellectual property audits, licensing and franchising of intellectual property, and more. Attorney Mark Juda specializes in traffic violations, but also provides services to clients in all criminal matters and residential and commercial real estate transactions. Call the office today to set up your free consultation. The Calareso Law Firm, PLLC emphasizes establishing a partnership with clients and being thorough in the explanation and exploration of all possible options. Barclay Damon's team of 275 attorneys across 33 specialized practice areas are located in 11 offices strategically located throughout the Northeast, including Albany, NY. Hodgson Russ LLP has six offices, including one right here in Albany. The firm offers legal services to individuals, private and public companies, nonprofit organizations, and government entities in more than a dozen industries and practice areas. Wilson, Elser, Moskowitz, Edelman & Dicker LLP has 34 national locations and nearly 800 attorneys. Enlist the help of their team in Albany for virtually any legal matter. Hoffman Warnick is a full-service intellectual property (IP) law firm with a highly-trained professional staff and state of the art systems. The firm specializes in patent procurement, copyrights, trademarks, opinions, licensing, litigation and more. Couch White, LLP has extensive experience in six broad practice areas: energy, environmental, corporate and commercial transactions, real estate, construction, and commercial & complex litigation. A full range of legal services is available. Parisi, Coan & Saccocio is a client-focused law firm with more than 65 years of collective experience in state and federal court. Practice areas include Title IX, business law, real estate law, employment discrimination, trusts and estates, and more. The team at Greenberg Traurig's Albany Office represents a broad range of clients - from small businesses to Fortune 500 companies - in matters regarding legislation and regulation. Specialty areas include energy, health care, and technology. The Legal Aid Society of Northeastern New York provides low-income people with free civil legal services. The types of cases this legal aid usually handles are non-criminal, civil cases including domestic violence, family law, and housing. 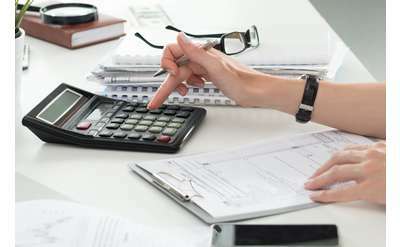 The Vincelette Law Firm has concentrated its practice in the areas of municipal tax foreclosure and tax certiorari. The firm's attorneys represent corporations and municipalities in New York State. Brown & Weinraub's team of strategic consulting advisors has expertise in the following areas: Government Relations, Health Care & Human Services, Infrastructure & Development, Local Government, Technology, and Workforce. We The People offers document preparation services for separations, divorces, bankruptcies, and other matters to those in eight Upstate New York Counties: Albany, Schenectady, Rensselaer, Saratoga, Schoharie, Washington, Fulton, and Montgomery. McNamee Lochner has a team of experienced business lawyers who specialize in bankruptcy and reorganization, commercial real estate, corporate law, government contracts, and more. 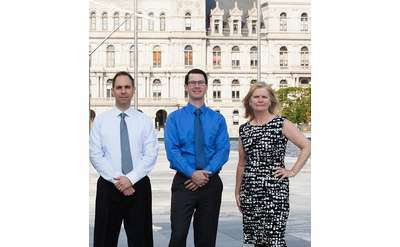 The firm has two Capital Region offices in Albany and Saratoga. Wertime, Ries & Van Ullen, P.C. The full-service law firm of Wertime, Ries & Van Ullen offers quality legal services performed by experienced attorneys. Areas of expertise include estate planning, elder law, and property law. Scheuermann & Scheuermann, LLP works with companies of all sizes, from start-ups to large, established businesses. The firm distinguishes itself from other local firms by offering customized and personalized services for each individual client. Napierski, VanDenburgh, Napierski & O'Connor, located in Albany NY, specializes in eight practice areas: medical malpractice defense, insurance defense, personal injury, employment, professional licensing, mediation, estate planning & real estate. At LaMarche Safranko Law, we give you the confidence of knowing what to expect during a stressful, uncertain time. You'll get the benefit of our years of invaluable legal expertise-but more importantly, you'll get our time. 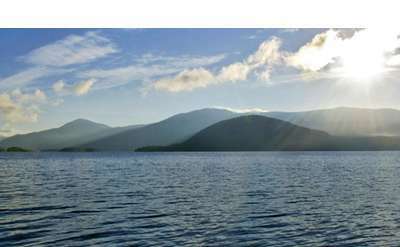 Young/Sommer LLC is a recognized leader in environmental and energy law in New York. Their attorneys have decades of experience in private practice and State government, allowing them to understand the challenges their clients face. Garfunkel Wild has more than 75 attorneys in four locations. While the firm specializes in the health care industry, it has grown to meet the demands of those in other industries. Other practice areas include business, environment, and real estate. Cullen and Dykman LLP has eight offices in New York, New Jersey, and Washington D.C. The firm has been serving clients since 1850, and strives to provide innovative and practical legal counsel. The team of attorneys at Higgins, Roberts & Suprunowicz has a deep knowledge in various legal areas. The general practice firm offers services related to estates & trusts, personal injury, real estate, litigation, and other areas. The father-son general practice law firm of Oliver & Oliver specializes in criminal defense, civil rights, employment discrimination, sexual harassment, and several other areas. Lewis B. Oliver, Jr. practices in downtown Albany. With law offices in Albany and Saratoga Springs, Lemery Greisler offers expert counsel to businesses and investors of all sizes. Practice areas include banking & commercial finance, land use & zoning, intellectual property, and economic development. The team of attorneys at Harris Beach's Albany office assists enterprises and public sector organizations with compliance and project development matters. Many team members have unique experiences and insights they can use to better help clients. Accumera, with its headquarters in Albany, provides small businesses, professionals, and entrepreneurs in all 50 states with company formation and business maintenance services. Copps DiPaola provides personalized service to its clients and is a small, uniquely focused law firm. The firm concentrates in adoption law and real estate, and coaches clients through each step of the legal process. Dreyer Boyajian's legal team specializes in personal injury cases with the goal of helping clients recover financially, physically, and emotionally. The firm has 30+ years of experience in malpractice, workplace hazard, and other injury cases. Roemer Wallens Gold & Mineaux LLP is located in Albany NY and is a resolution-oriented firm. Concentration areas include labor and employment law, finance and real estate, insurance defense, general municipal law, litigation, and retirement. For matters of divorce, child support, custody, separation, and pre- and post-nuptial agreements, contact Tabak & Kiosse, LLP. The firm prides itself on professionalism, integrity, and experience. The Wagoner Firm has a trademarked approach and offers an in-house counsel experience, plus individual practice areas, so you can choose what is best for you or your business.